Intel’s upcoming Xeon processor lineup which include the Haswell-EP and Broadwell-EP series has been unveiled and detailed by VR-Zone. 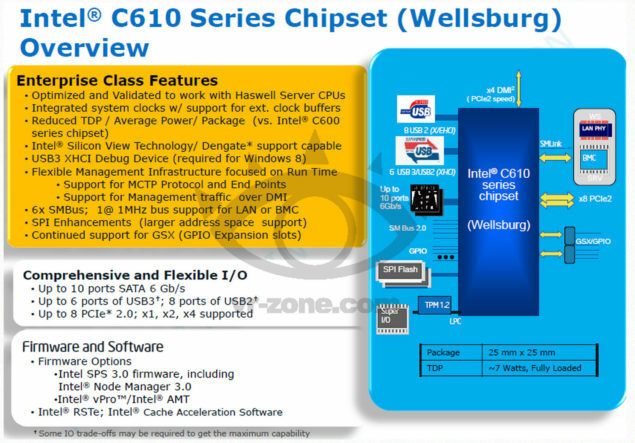 The upcoming Haswell-EP Xeon E5-2600 V3 processors will replace the Ivy Bridge-EP Xeon E5-2600 V2 series which were launched at IDF13 held in San Francisco. Intel’s current Ivy Bridge-EP Xeon E5-2600 V2 consists of the flagship Xeon E5-2697 V2 which features 12 cores and 30 MB L3 cache while the full 15 core unlocked die is reserved for the Ivy Bridge-EN series that launches in the current period of time. For their next-generation series, Intel is going to release the Haswell-EP generation of Xeon processors branded as the Xeon E5-2600 V3 which from an architecture perspective are a TOCK featuring the latest 4th generation Haswell microarchitecture. Based on a 22nm 3D Transistors process, the Xeon E5-2600 V3 family would support upto 14 cores per socket and 28 threads coupled with fast 35 MB LLC (Last Level Cache) and featuring both the Intel Hyper Threading and Turbo Boost technologies. The new Haswell architecture would further leverage the performance over the existing Ivy Bridge architecture based Xeon family delivering more performance with improved efficiency which is the key role of effectiveness in the enterprise and workstation scape. 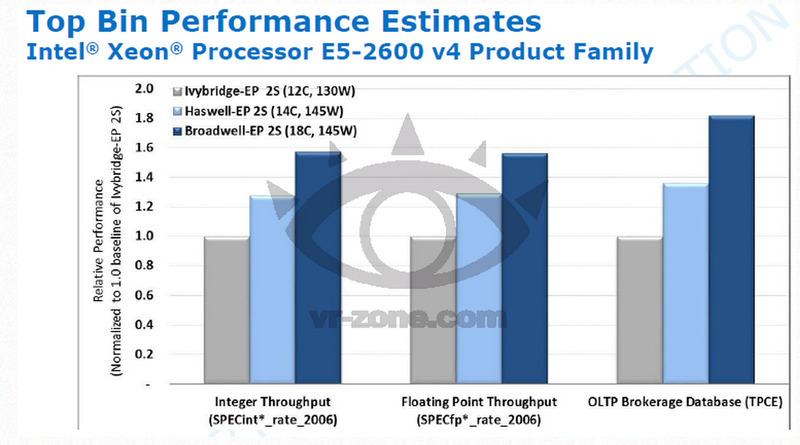 Just like Ivy Bridge-EP before it, we will get multiple die variants of Xeon E5 2600 v3 family which will only be detailed once they launch next year. Haswell-EP will be Intel’s first native platform to feature DDR4 memory support with speeds of 2133 MHz which will provide significant boost in bandwidth when compared to conventional DDR3-1866 MHz memory. Intel will also topple these chips with 40 PCI-Express Gen 3 lanes and we are looking at TDPs ranging between 70W to 145 Watts while the high-performance workstation parts will feature a TDP of 160W. 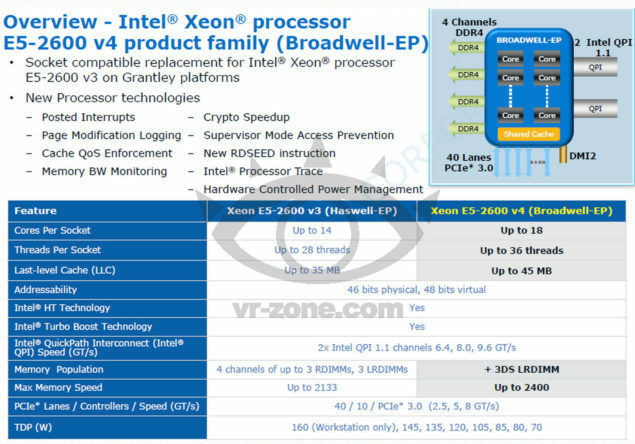 Following Haswell-EP is Broadwell-EP, Intel next-generation and first 14nm based Xeon processor series featuring their upcoming Broadwell architecture. Broadwell which according to Intel’s Tick-Tock roadmap is a Tick which means its essentially a die shrink (14nm) of Haswell featuring massive changes to the core design. 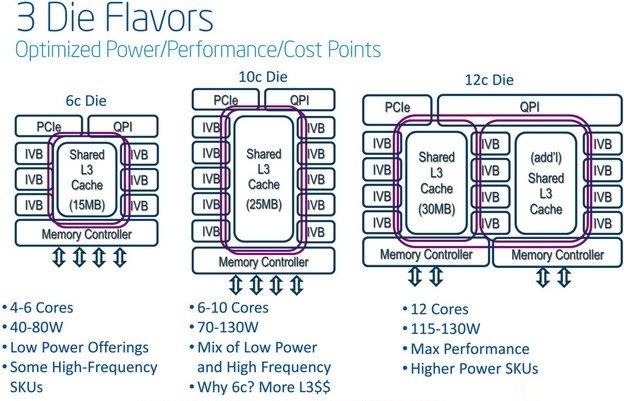 First of all, the Xeon E5-2600 V4 flagship processor would feature upto 18 cores and 36 threads on a single socket. That’s 72 threads running simultaneously on a dual socket enterprise setup and from the performance uplift chart , you can note that its going to be a complete and powerful package. Broadwell-EP will also be coupled with 45 MB of Cache (LLC) and will natively support DDR4-2400 MHz memory which is a decent upgrade over Haswell-EP but that puts the total improvement over DDR3 to about 25 percent which is great. TDPs are expected to remain the same as Haswell-EP for each part but take it as an improvement since a Broadwell-EP with 18 cores would be featuring a 160W TDP which is the same as a 14 Core Haswell-EP variant. 10 Core Broadwell-E Processors For Desktop PCs in 2015? As expected, Intel’s Broadwell-EP would also come in several die variants with a few of them ending up as Intel’s Broadwell-E series which will become Intel’s flagship HEDT platform in 2015-2016. Intel’s Broadwell-E platform will replace Haswell-E which arrives next year featuring upto 10 to 8 core variants, clock speeds of 4 GHz with 130-145W TDPs and support for DDR4-2400 MHz memory. 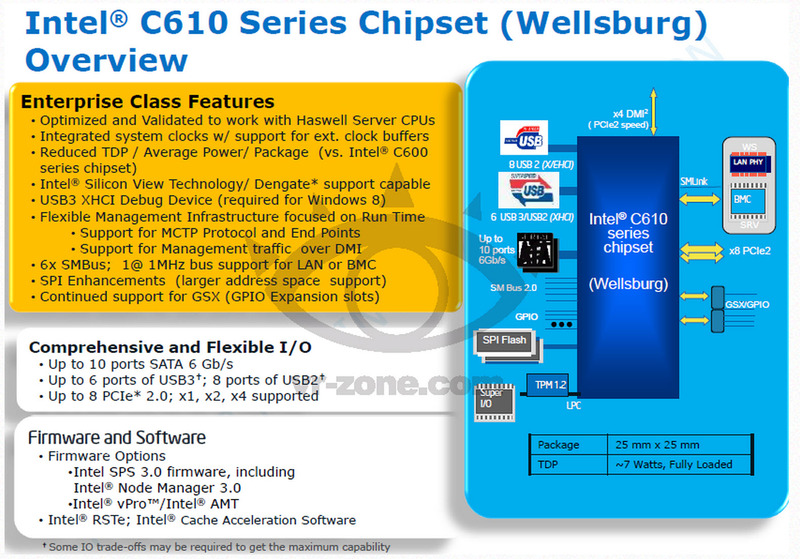 You can learn more about Haswell-E in our latest article here. Launch IDF 2013 IDF 2014? IDF 2015? With Intel Xeon CPUs and Xeon Phi Co-processors such as the upcoming Knights Landing plus their latest 2014 SSD lineup for the Enterprise market which include 2 TB P3700 ‘Fultondale’ and P3500 Series ‘Pleasentdale’ SSDs, Intel truly looks to dominate the Server, Workstation and Enterprise landscape in several markets across the globe with a high emphasis on High Performance Computing. Do visit VR-Zone for a more detailed analysis of Intel’s Xeon CPU series.